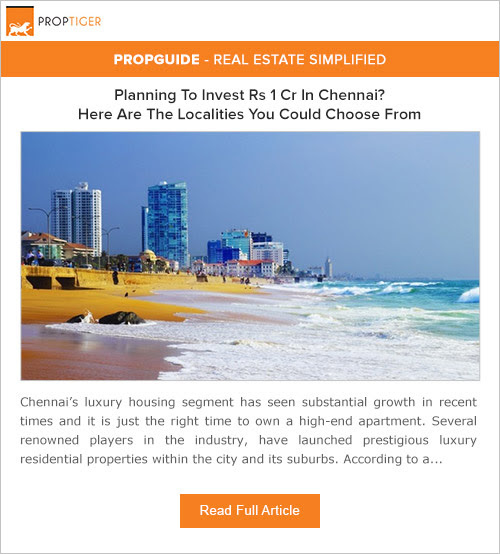 Home > Realty - Luxury Homes > Chennai Luxury Flats Price Updates..! The 2 BHK and 3 BHK apartments are available within the price range of Rs. 92 lakh to Rs. 1.4 crore for areas ranging from 1,250 to 1,940 square feet. A 3 BHK apartment of an average area of 1,100 square feet can be bought for an average price of Rs. 1.4 crore. Residential plots, as well as 3 BHK and 4 BHK apartments, are available here, priced between Rs. 1.1-1.2 crore, for areas varying between 1,990 and 2,400 square feet. The 3 BHK apartments are available for a price range of Rs. 1.2-1.3 crore for areas ranging between 1,400 and 1,700 square feet. crore for areas varying between 1,100 square feet and 1,500 square feet. A 3BHK apartment with an average area of 2,520 square feet is priced at Rs. 1.06 crore. The 3 BHK and 4 BHK apartments are priced between Rs. 1.05-1.2 crore, for areas varying between 2,400-2,800 square feet.